When you gotta go and the toilets are broken, well, you do what you gotta to do. For passengers on a Delta flight from New York (JFK) to Seattle (SEA) on Saturday, December 2, that meant making an emergency landing at Billings Logan International Airport in Montana after the bathrooms on board the Boeing 757 stopped working. DL 453 was near the Canadian border — see the flight path above — when the bathrooms ceased functioning and according to an incident report, passengers started “queueing up and indicating they needed to visit the toilet.” The crew decided to divert to Billings (BIL) after passengers notified the crew that some of them “needed to go really bad.” The plane landed in Billings 30 minutes later; however, there was no gate immediately available, so the ground crew had to roll a stairway to the plane so that passengers could “disembark to find relief,” according to the incident report. Passengers were escorted to the terminal so those who needed to take care of their business could do so as the plane’s toilets were fixed. The plane spent three hours on the ground in BIL and was refueled before passengers re-boarded and continued to SEA. 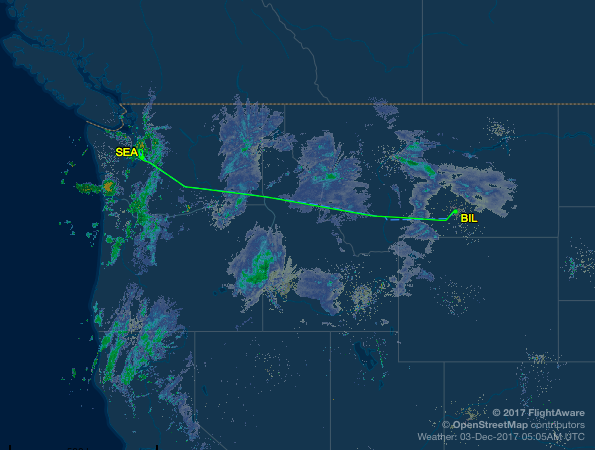 The aircraft landed safely in Seattle over two hours after its scheduled arrival time. 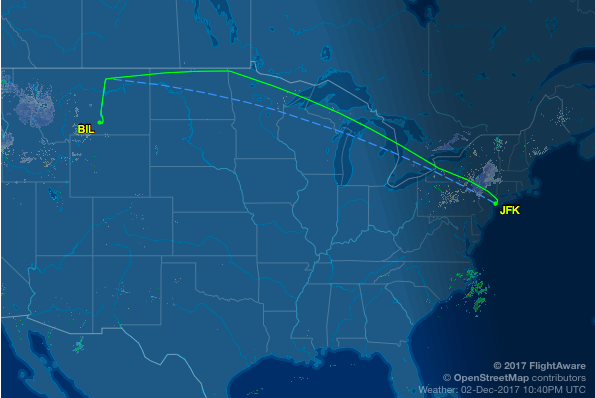 Nonstop flights from JFK to SEA usually last about six hours. This is not the first plane to make an emergency landing at BIL, but it was the first one where the call of nature precipitated the event, though.